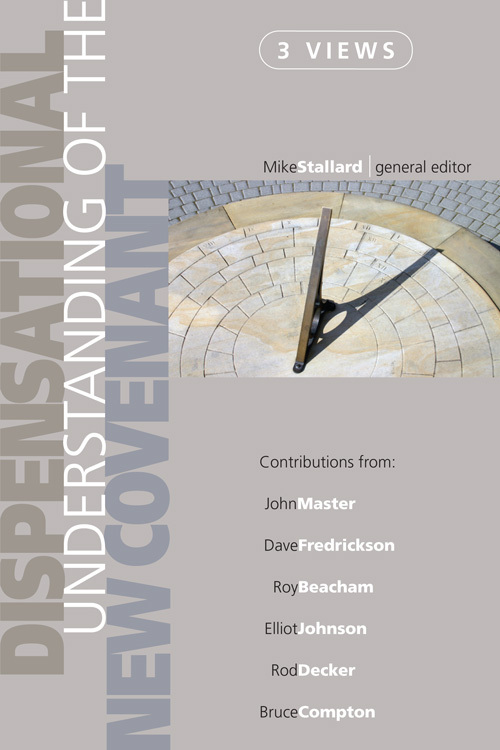 Dispensational Understanding of the New Covenant, a book edited by Mike Stallard is now out. Here is the publishers description. the church has nothing at all to do with the new covenant. Each viewpoint is supported by extensive theological, historical, and exegetical research, with responses and rejoinders for each view. A 37-page sample is available as a PDF here. You can order the book from the publisher here and Amazon has one copy available here.